Taylors Island had a number of windmills, but unfortunately no traces of them survive. 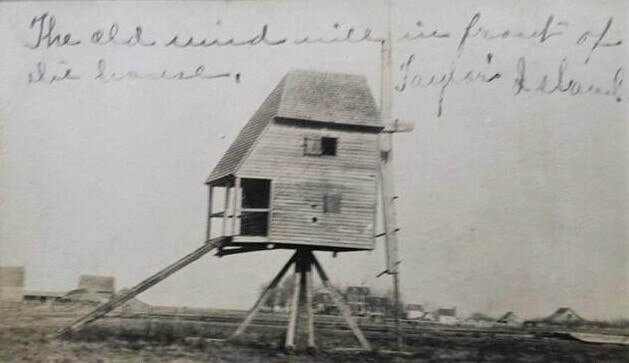 The windmill pictured below was located near the home of Capt. 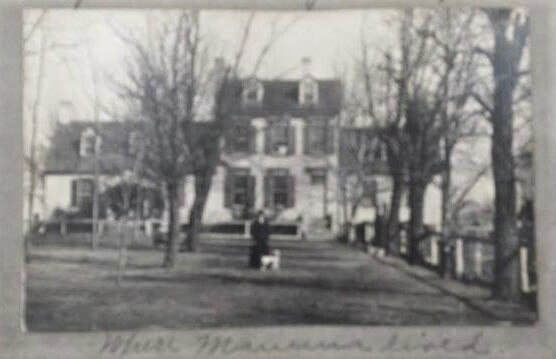 Samuel Travers at Hoopers Point. 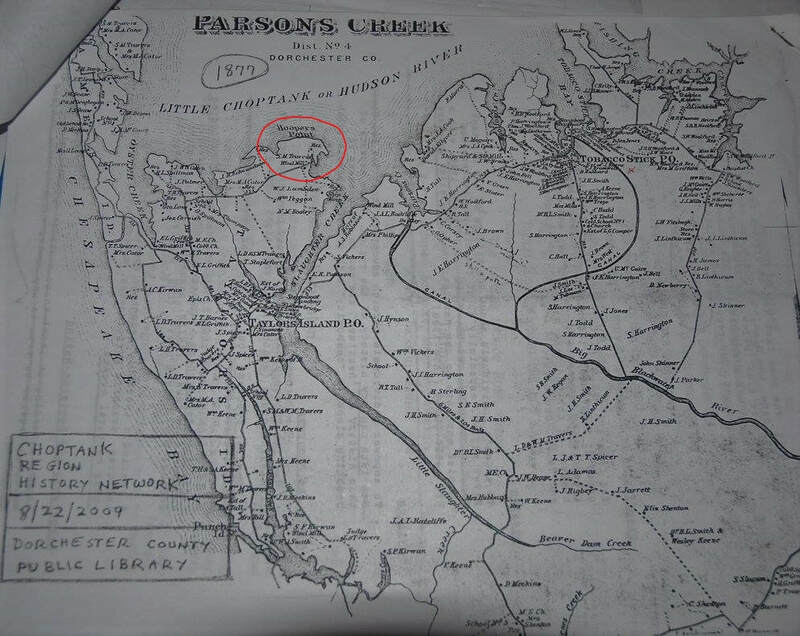 The location is circled on the accompanying map and a photo of the house is below the map. These photos were located at the Nabb Center of Salisbury University. It is believed that the photos were taken sometime between 1900 & 1920. The 1877 Lake, Griffing, and Stevenson Atlas of Dorchester County (see map image below) shows the Griffith windmill at the head of Oyster Creek, The Kirwin windmill on St. John Creek, and the aforementioned Travers windmill.